Chief Inspector Strock gets the tough cases. When a volcano suddenly appears to threaten mountain towns of North Carolina amid the non-volcanic Blue Ridge Mountains, Strock is posted to determine the danger. When an automobile race in Wisconsin is interrupted by the unexpected appearance of a vehicle traveling at multiples of the top speed of the entrants, Strock is consulted. When an odd-shaped boat is sighted moving at impossible speeds off the New England coast, Stock and his boss begin to wonder if the incidents are related. And when Strock gets a hand-lettered note warning him to abandon his investigation, on pain of death, he is intrigued rather than deterred. This book is a sequel to an earlier Verne novel, “Robur the Conqueror”, but enough detail is given to fully appreciate this story without having first read the other. 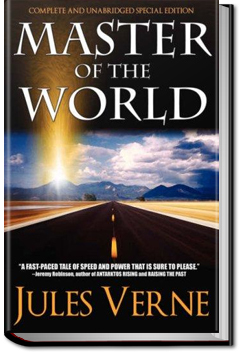 This entry was posted in Action/Adventure Books and tagged allyoucanbooks.com review, free audio books online, free audiobooks, free books online, free ebooks download, unlimited action and adventure books, unlimited audiobook subscription on March 13, 2015 by allyoucanbooks.